Over the past week, 174 new papers were published in "Computer Science". The paper discussed most in the news over the past week was "Human-competitive Patches in Automatic Program Repair with Repairnator" by Martin Monperrus et al (Oct 2018), which was referenced 4 times, including in the article A bot disguised as a human software developer fixes bugs in Technology Review. The paper author, Martin Monperrus (KTH Royal Institute of Technology), was quoted saying "Who owns the intellectual property and responsibility of a bot contribution: the robot operator, the bot implementer or the repair algorithm designer? This is one of the interesting questions uncovered by the Repairnator project." Leading researcher Pieter Abbeel (University of California, Berkeley) published "One-Shot Hierarchical Imitation Learning of Compound Visuomotor Tasks". Over the past week, 81 new papers were published in "Computer Science - Artificial Intelligence". The paper discussed most in the news over the past week was "Applying Deep Learning To Airbnb Search" by Malay Haldar et al (Oct 2018), which was referenced 1 time, including in the article Airbnb details its journey to AI-powered search in Venturebeat. Leading researcher Yoshua Bengio (Université de Montréal) came out with "Depth with Nonlinearity Creates No Bad Local Minima in ResNets". Over the past week, 126 new papers were published in "Computer Science - Computer Vision and Pattern Recognition". 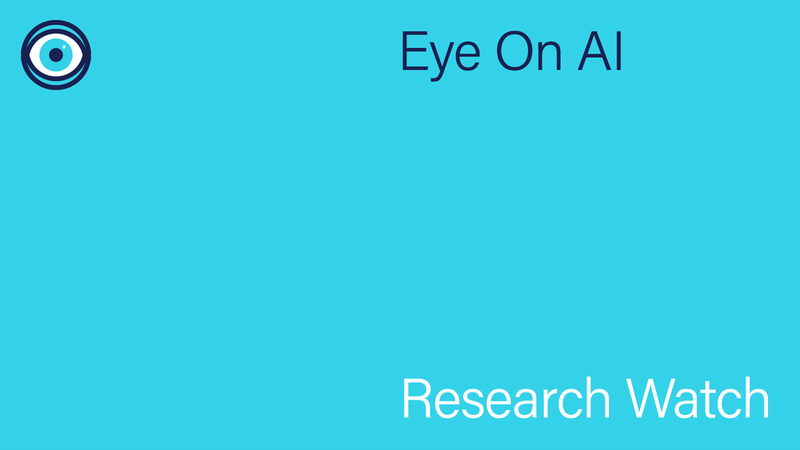 The paper discussed most in the news over the past week was "Person Retrieval in Surveillance Video using Height, Color and Gender" by Hiren Galiyawala et al (Sep 2018), which was referenced 2 times, including in the article This AI can search for people by height, gender, and clothing in surveillance videos in The Next Web. Over the past week, 11 new papers were published in "Computer Science - Computers and Society". The paper discussed most in the news over the past week was "A Quantitative Approach to Understanding Online Antisemitism" by Joel Finkelstein et al (Sep 2018), which was referenced 139 times, including in the article Pittsburgh Synagogue Shooting Suspect's Gab Posts Are Part of a Pattern in Wired News. The paper author, Joel Finkelstein(Group's director), was quoted saying "You can’t fight the disease if you don’t know what it’s made of and how it spreads". The paper got social media traction with 43 shares. The researchers present a large - scale, quantitative study of online antisemitism. Over the past week, 15 new papers were published in "Computer Science - Human-Computer Interaction". The paper discussed most in the news over the past week was "BrainNet: A Multi-Person Brain-to-Brain Interface for Direct Collaboration Between Brains" by Linxing Jiang et al (Sep 2018), which was referenced 101 times, including in the article BrainNet is an Inter-cranial Interface that Connects Multiple Players’ Brains. The paper author, Rajesh Rao, was quoted saying "Current brain-to-brain interfaces are extremely limited in the amount of information transmitted between brains, preventing practical applications". The paper got social media traction with 113 shares. Over the past week, eight new papers were published in "Computer Science - Multiagent Systems". Leading researcher Dhruv Batra (Virginia Tech) came out with "TarMAC: Targeted Multi-Agent Communication". This week was active for "Computer Science - Learning", with 216 new papers. The paper discussed most in the news over the past week was by a team at University of Waterloo: "EdgeSpeechNets: Highly Efficient Deep Neural Networks for Speech Recognition on the Edge" by Zhong Qiu Lin et al (Oct 2018), which was referenced 1 time, including in the article Researchers develop offline speech recognition that’s 97% accurate in Venturebeat. Leading researcher Yoshua Bengio (Université de Montréal) published "Dendritic cortical microcircuits approximate the backpropagation algorithm". Over the past week, 16 new papers were published in "Computer Science - Neural and Evolutionary Computing". The paper discussed most in the news over the past week was "Towards the Targeted Environment-Specific Evolution of Robot Components" by Jack Collins et al (Oct 2018), which was referenced 2 times, including in the article Scientists Help Robots 'Evolve.' Weirdness Ensues in Wired News. The paper author, David Howard (Research scientist), was quoted saying "We start with a population of random legs, assess them in a high-fidelity simulated environment (gravel, hard earth and water were the ones we focused on) and get their fitness scores". EYE ON A.I. GETS READERS UP TO DATE ON THE LATEST FUNDING NEWS AND RELATED ISSUES. SUBSCRIBE FOR THE WEEKLY NEWSLETTER. Monkeys, Men and Machines: How Mismatched Mistakes Might Help Improve Computer Vision.